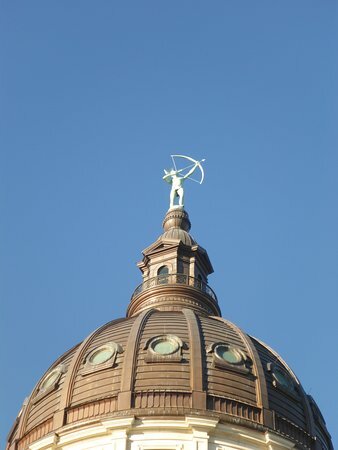 Kansas lawmakers are considering two bills that would amend and improve a statute pertaining to professional employer organizations and employment security tax filings. Syndeo president Bill Maness and industry representatives are among those advocating for the change. 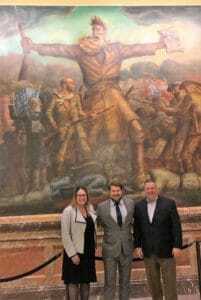 Maness testified before Kansas House of Representatives and Kansas Senate committees in Topeka this week along with Michael Kreiter, the National Association of Professional Employer Organizations’ director of state government affairs, and Melissa Kelly, of ADP TotalSource, in support of Senate Bill 27 and House Bill 2076. 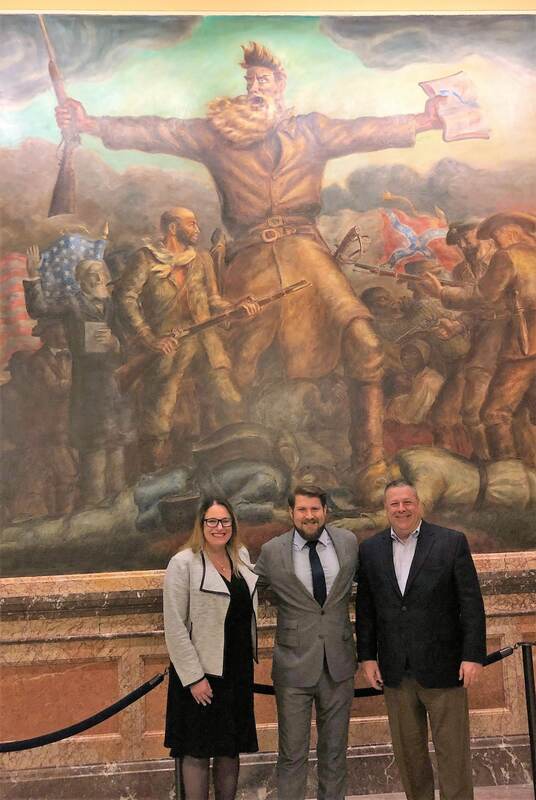 Melissa Kelly of ADP TotalSource; Michael Kreiter, NAPEO’s director of state government affairs; and Bill Maness, president of Syndeo, are advocating for a statutory change to benefit the PEO industry. At issue is a provision that requires professional employer organizations (PEOs) to manage two separate accounts for a single client. The proposed bills, which are sponsored by the Senate and House Commerce Committees, would allow a PEO like Syndeo to submit unemployment tax and wage reports for individual proprietors or corporate officers who are shareholders or board members for a PEO client company. As it is now, contributions and wage reports for those individuals also must be submitted by the client, thus the need for two separate accounts. PEO is a co-employment model in which the service provider and the employer share liability and the responsibility for managing employees. The employer assumes the PEO’s federal employer identification number (FEIN) and the PEO becomes the employer of record. Benefits, retirement and workers’ compensation plans are offered under the PEO umbrella. This week’s testimony is another example of how Maness, who became a NAPEO board member in 2018, and Syndeo have been at the forefront to push legislation for the betterment of the PEO industry. The PEO Model Act essentially provides the statutory parameters for the PEO industry. About us: Syndeo is among the more than 900 PEO organizations nationwide. As a PEO, Syndeo provides its clients with comprehensive services in human resources, employee benefits administration, payroll and workers’ compensation insurance.